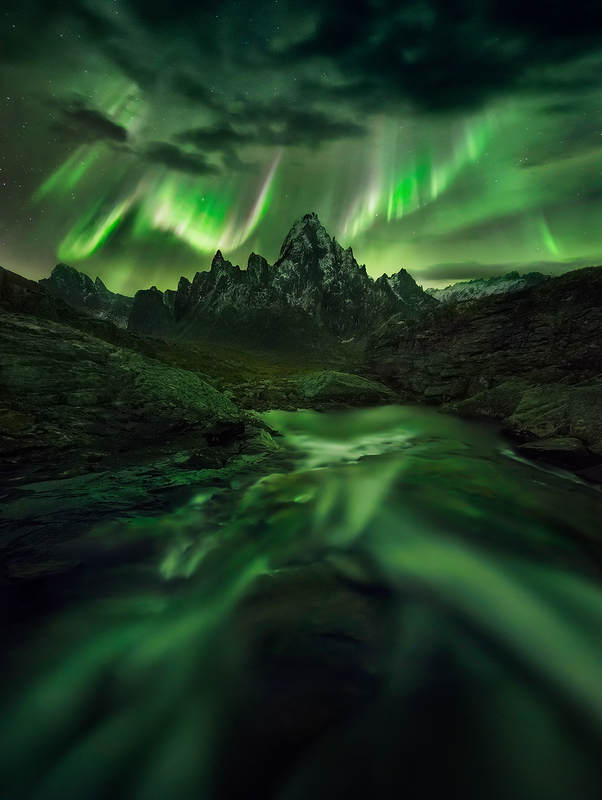 The great peaks of the Yukon's Far North illuminated under the light of the Aurora. Below is a small stream flowing into the distance rendered softly through the long night exposure. Photo © copyright by Marc Adamus.